Signs of the holiday season appear in San Diego! – Cool San Diego Sights! Signs of the holiday season appear in San Diego! Signs of the holiday season have sprung up around San Diego a week or two before Thanksgiving. The holidays are almost upon us! Four days until Thanksgiving! 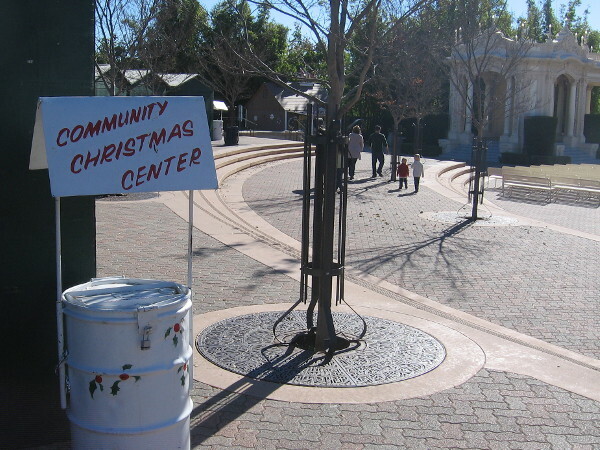 While walking around San Diego this weekend, I noticed some signs of the coming holiday season. So I took pictures! 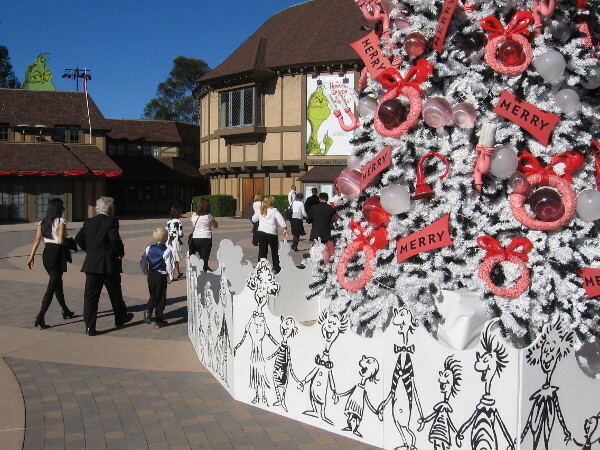 Ushers file past the fun Dr. Seuss Grinch Christmas Tree in front of the Old Globe Theatre in Balboa Park. 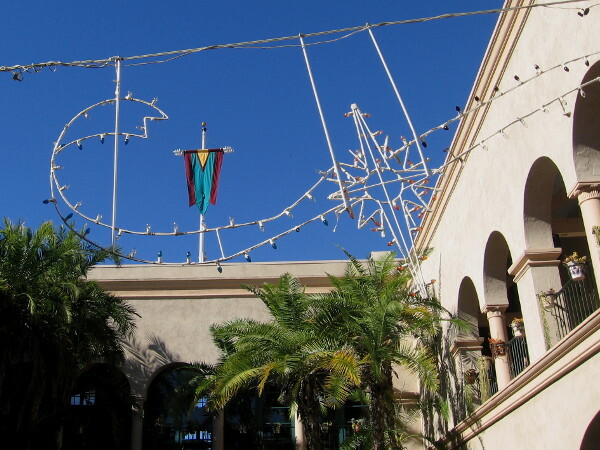 Holiday lights are up in the courtyard of Balboa Park’s House of Hospitality. 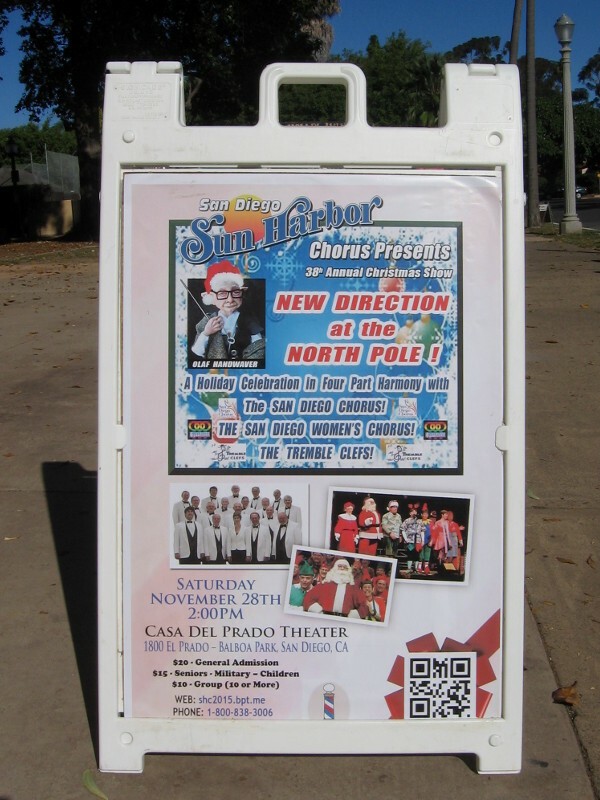 Poster in Balboa Park advertises New Direction at the North Pole! 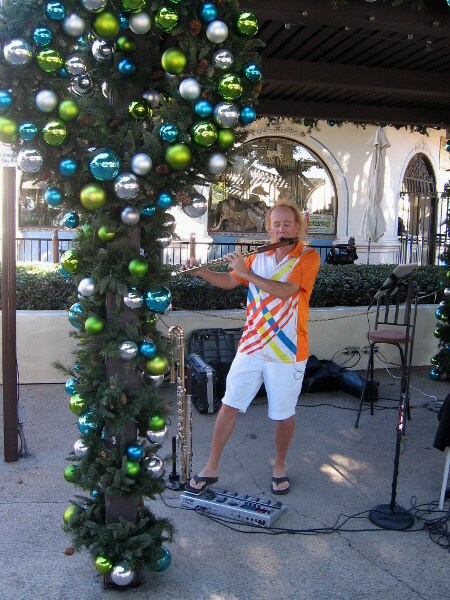 Joyful music will fill San Diego during the holiday season. The Spreckels Organ Pavilion in Balboa Park is almost ready for December Nights, which will be held December 4 and 5 this year. 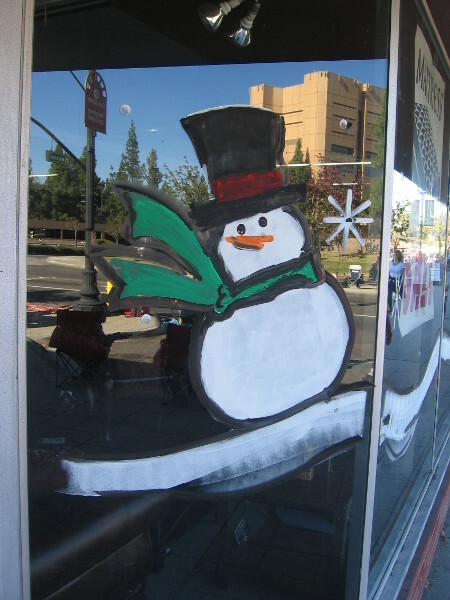 Frosty the Snowman painted on a store window in San Diego’s sunny East County. 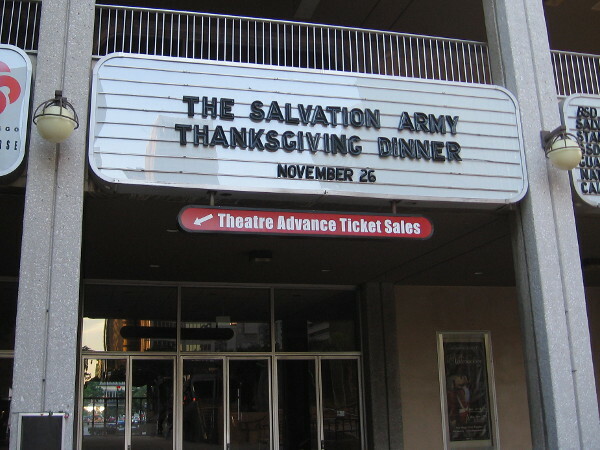 The Salvation Army will be serving Thanksgiving dinner to the homeless in Golden Hall at the Civic Center. 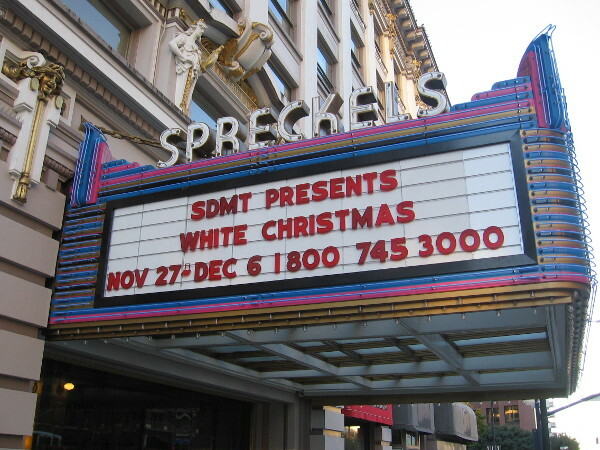 White Christmas opens Friday at the Spreckels Theatre. 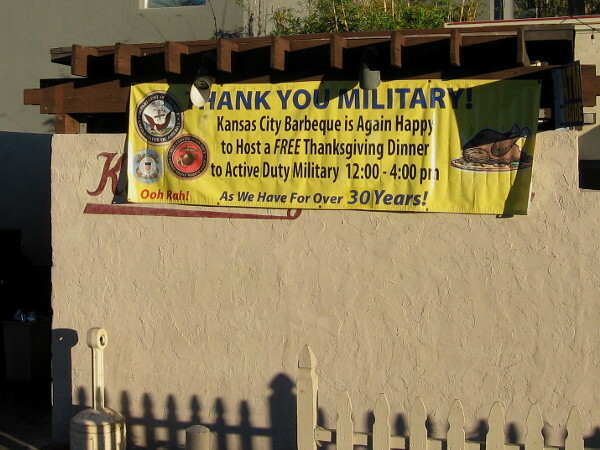 Kansas City Barbeque is offering active military a free Thanksgiving dinner. 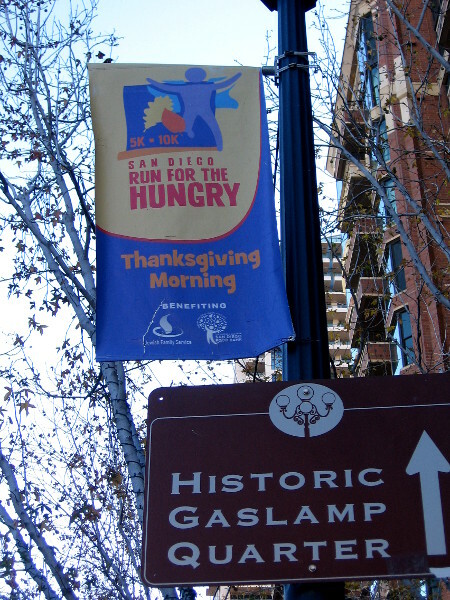 The San Diego Run For the Hungry takes place Thanksgiving morning. 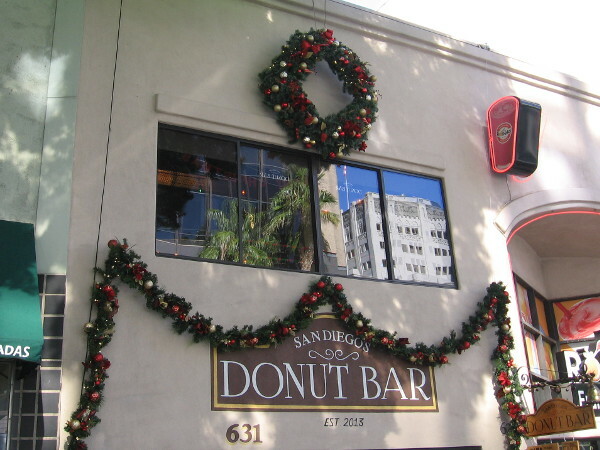 Traditional holiday garland and colorful ornaments festoon the Donut Bar in downtown San Diego. 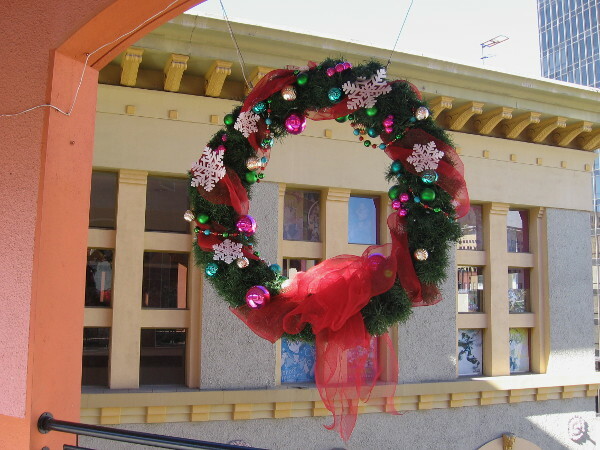 One of many beautiful wreaths hung all around Horton Plaza in San Diego. Christmas shopping is about to really get started on Black Friday! 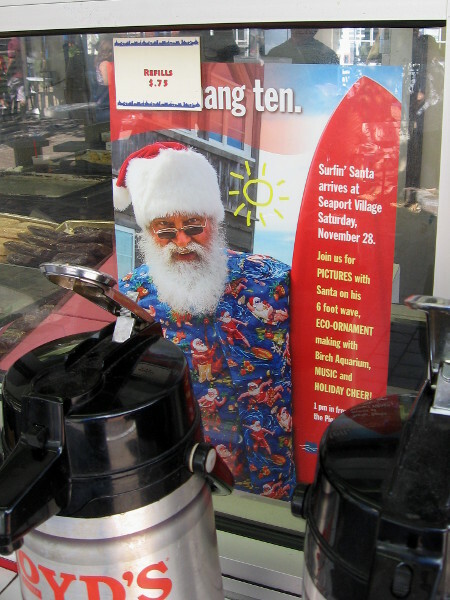 Surfing Santa poster in a window of the Seaport Cookie Company. Some shiny Christmas tree ornaments and festive entertainment near the Seaport Village carousel. 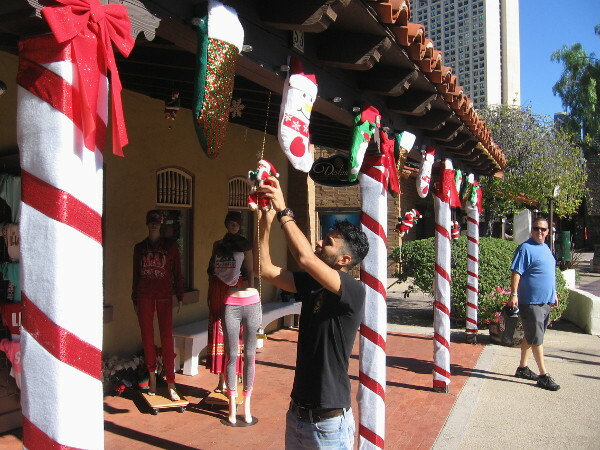 Jolly old Saint Nick is being hung with care near stockings and candy cane pillars at the front door of a Seaport Village shop. Signs of the holidays are nation wide! Big cool down underway next couple days. Time to put on the regular shoes! 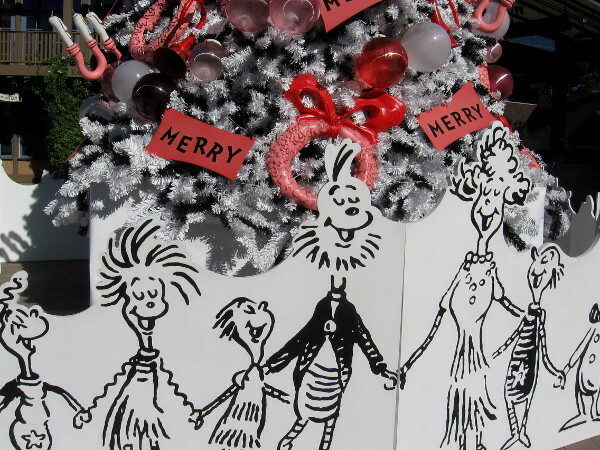 Previous Previous post: Fun photos of the Mother Goose Parade! Next Next post: Art exhibit: water, drought, and San Diego’s rainmaker.